Sometimes, genetics seems pretty straightforward. What color is your hair? Brown? Red? Blonde? You must have inherited the brown, red, or blond hair gene, right? 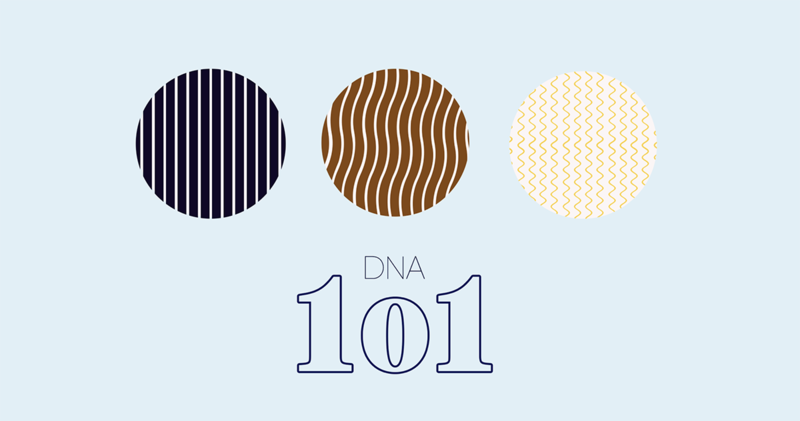 In reality, genetics is rarely simple—even when it comes to something as mundane as hair color. Genes can affect one another in many different ways. But understanding how a trait like hair color is determined can be helpful when reading through your DNA test results. There are more than 20,000 different genes in your DNA which all work together to make you, you. Typically, people think of one gene giving rise to one trait. But we’ve come to find that very few of our traits work like this. Take hair color for example: there is no single brown, red, or blonde hair gene—it’s actually a whole network of genes that interact with one another to control the production of colorful pigments. Someone who has black or brown hair is making large amounts of a dark pigment called eumelanin. The production and distribution of this pigment across a hair strand requires multiple steps, each of which involves different genes. To make eumelanin, the amino acid tyrosine has to go through multiple transformations, one of which involves the MC1R gene. This gene produces a protein of the same name which helps direct the chemical reactions. When the MC1R protein is made and active, it pushes the chemical reaction to produce the brown pigment eumelanin. But when it’s not being made or not working properly due to a change in the DNA, a red pigment known as pheomelanin is made. Variants have been found in the MC1R gene which cause less of its protein to be produced and results in build up of pheomelanin instead of eumelanin—and thus red-colored hair. This is an example of a concept known as epistasis, which literally means “to stop or stand upon.” This term describes a common concept in genetics, which is that some variants can mask the effect of others. It helps to think of this like your commute to work. Let’s say you drive to work and you normally arrive at 8:00 am. To do this, your car has to be able to drive, and there has to be a smooth flow of traffic. Now let’s say there’s an accident on the highway which causes you to be 30 minutes late due to the resulting traffic jam. In this situation, the presence of the accident has changed the time you arrive. Based on this, you would predict that anytime an accident is present, you’ll arrive at 8:30. But, what if your car doesn’t start tomorrow? If that happens, it doesn’t matter whether there’s an accident on the highway—you won’t arrive at 8:00 or 8:30. In other words your car trouble has had an epistatic effect on the highway accident. Returning to hair color, a variant in the MC1R gene that causes it to totally stop working will have an epistatic effect on most other variants—meaning if the MC1R gene stops working, it doesn’t matter if your body is trying to produce the brown pigment because without MC1R, it will produce a red pigment instead. The concept of epistasis is important for more than just hair color: Researchers have found that epistatic interactions can affect many traits. For example, some variants have been identified to have an epistatic relationship that can have implications on lung cancer development1. 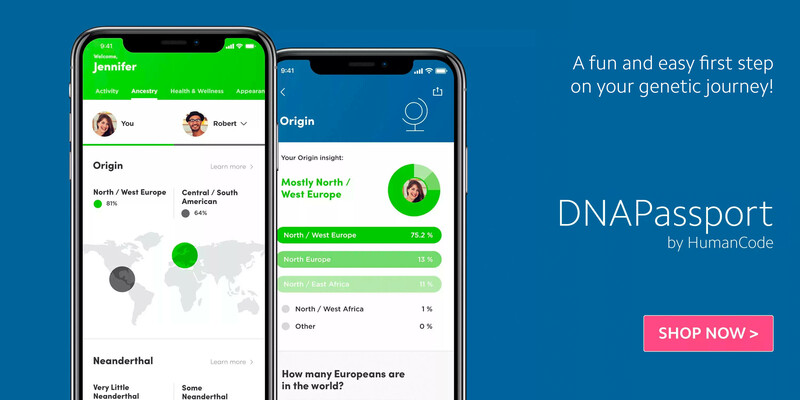 So how does this help you understand your DNA test results? Often times, you’ll see qualifying language in your results that says you are “likely” to have a certain trait. This is because concepts like epistasis, penetrance, and expressivity can all affect whether or not someone has a trait. It’s similar to driving to work where there are many ways for you to get delayed, but generally speaking, the presence of an accident will usually cause you to arrive at a different time. Based on experience, you can determine with a relatively high degree of accuracy what time you’ll get to work each day based on this. In that same way, it’s also possible to use your DNA to determine how likely it is that you will have a specific trait. 1MARCUS, MICHAEL W. et al. “Incorporating Epistasis Interaction of Genetic Susceptibility Single Nucleotide Polymorphisms in a Lung Cancer Risk Prediction Model.” International Journal of Oncology 49.1 (2016): 361–370. PMC. Web. 18 May 2018.